For most of my life I have been researching the many layers of our hidden history. It was in January 2012 that by chance I came across the most incredible book because it connected many unconnected dots in my own research. These pages have excerts from the book as well as my own research which I offer to you so you can hopefully connect some of your own dots. 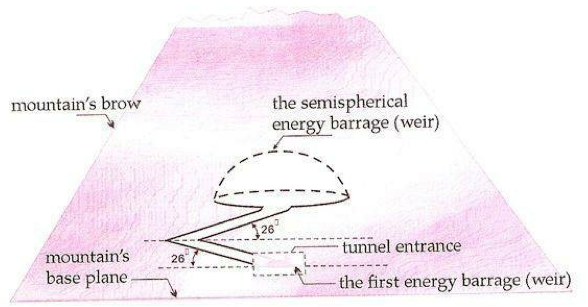 There are 4 primary tunnels and further sub tunnels that lead to deeper and bigger places which you will have heard of but with different names. These rooms were created 50,000 years ago and each is connected to each other, protected by a energy source which actives all as one is activated. The locations are; Near the Sphinx in Egypt, Baghdad, Mount Kailash in Tibet and the Bucegi Mountains in Romania. The inner tunnels lead to a secret World under the Gobi Plateau in Mongolia and to Antarctica. This is the original book that started my Bucegi Mountain research. Must read! This book tells of what they found in the tunnel under the Sphinx in Egypt. Another of Peter Moon's books going deeper down the rabbit hole.